Johannes Lecküchner was a priest living in Franconia during the 15th century. His surviving books contain a wealth of information on the German fencing style of this era. His system Although based on the Liechtenauer tradition, his system is a veritable treasure of martial instruction, ranging from bladework to disarms and wrestling techniques. Many of these techniques can be applied with the longsword as well and give a valuable additional data-point to the standard Liechtenauer repertoire. Beside techniques for earnest fighting, Lecküchner also detailed antagonistic techniques that designed to electrify an audience at fencing events. 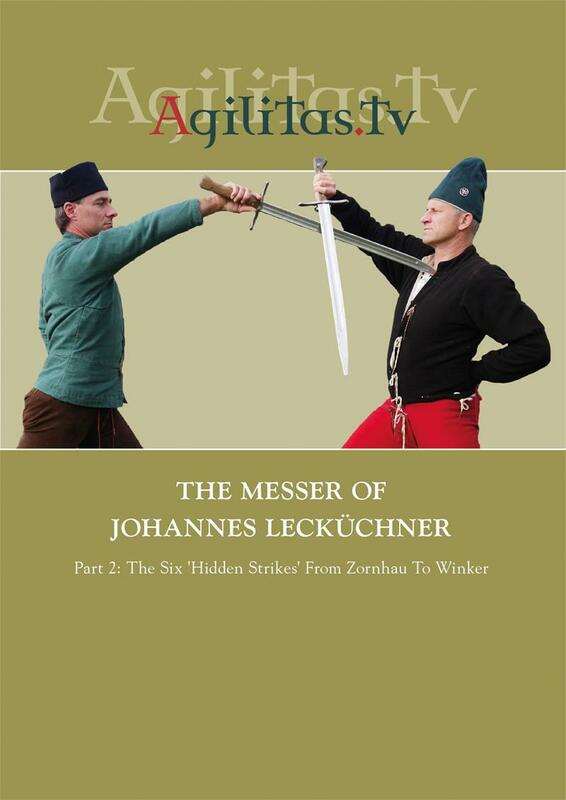 Part One of this series demonstrated the fundamental techniques of Johannes Lecküchner’s teachings for fighting with the falchion-like "long knife" or messer. Building on that foundation, Part Two takes a direct and in-depth look into the Master’s teachings. Each of the 'hidden strikes' and the complete set of techniques that proceed from them, are presented in the same sequence as Master Lecküchner did in his manual.